• 7800 sqft commercial – FOR SALE CAD549,000 . 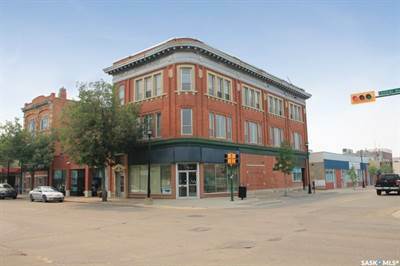 this fine heritage style building downtown Prince Albert. a mix of residential and commercial tenants, leases in place. Great opportunity for an investor. features 4 residential units on the third floor, including three one-bedroom suites and one bachelor suite. 1 business on the 2nd floor-1 business on the ground floor. right across from the new U of Sask campus opening fall of 2020. over $49,000 net operating income 2017.